Spanish red wines get a lot of press for being good values, but shopping in the Spanish wine aisle can be as daunting if you aren’t sure what grows where within the world of Spanish wines. Many of Spain’s best red wines are labeled with the name of the wine appellation, rarely by grape variety. At its most simplistic, Spain can be divided into three “bands” for red grape varieties and wines. The Tempranillo grape variety excels in wines from central and northern Spain, Garnacha in wines from northeastern Spain and Monastrell in southeastern Spanish wines. If you’ve ever felt completely overwhelmed while browsing an Spanish wine section, knowing just a few key wine names will help keep your shopping trip focused and ensure that you have the perfect wine to drink at a moment’s notice. Rioja is the home of Spain's original fine wine: the Gran Reservas. These Tempranillo-based wines, aged in American oak casks, yield ethereal cherry-and-vanilla reds. 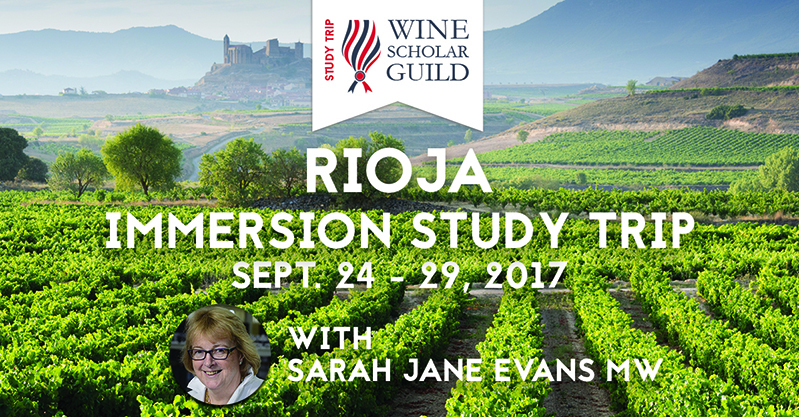 Master of Wine Sarah Jane Evans, recipient of the Outstanding Achievement Award from Wines of Rioja, will provide an introduction to the region, its grape varieties and winemaking styles and discuss the key trends of the 21st century. Join us to find out how tradition is in transition in Rioja. An award-winning wine-writer and journalist. Passed Master of Wine exams 2006. Wrote dissertation on the Almacenista producers of Jerez. Won Robert Mondavi Winery prize for highest marks in the theory papers and dissertation. Sarah Jane lived and worked in Spain in the period between school and starting to study at Cambridge University, and that was when her life-long love of Spain began. In 1992, to coincide with Expo ’92, she wrote Seville, a history of the city. Every year she writes the Spanish and Sherry sections of the Hugh Johnson Pocket Wine Book, and writes for a wide range of trade and consumer publications. Today Sarah Jane travels widely to consult at wineries, judge at wine shows, speak at conferences. In Spain she has been a guest speaker at San Sebastian Gastronomika, Fenavin, Vinoble; and is the keynote speaker at the 3rd Wine & Culinary International Forum run by Torres in Barcelona this weekend. She lives in London, and hosts tastings of Spanish wines for consumers as well as students and corporate clients. She has a strong interest in taste and flavour and in giving consumers the confidence to make their own choices. She is a founder member of the Academy of Chocolate, founded to promote fine chocolate, and finds that through carefully planned wine tastings, consumers can come to learn how to describe and enjoy flavours in wine. She’s the author of Chocolate Unwrapped: Taste and Enjoy the World’s Finest Chocolate. Tour through Spain’s greatest red grape varieties and the most important wines they produce. This webinar will present several wines from Spain’s most iconic vineyards, along with their history, terroir, viticulture, vinification and taste profile, and the cultural connection with their regions. Lucas Payà currently works as an independent consultant for several quality firms within the wine, beverage, and gastronomy industries. Soler's direction] and, one of the core team of fewer than a dozen who stayed on and worked throughout the winter too. During that period of time elBulli's wine list doubled its offerings. 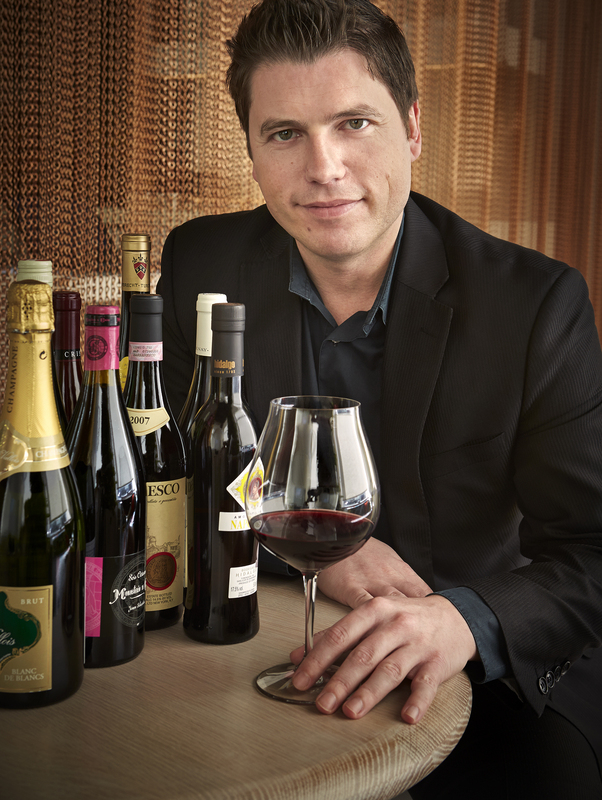 Most recently, he worked as the wine & beverage director for José Andrés ThinkFoodGroup (TFG), where he oversaw the wine and beverage programs for all fifteen TFG restaurants in the U.S. and internationally. His involvement in the design and development of these unique beverage programs also marked the expansion of TFG restaurants outside the DC area. Eric Solomon’s prestigious wine importing company. In his early years in the industry, he worked as sommelier for the Spoon+ concept by chef Alain Ducasse in London. visited many wine regions in Spain, France, Italy, Germany, Switzerland, the US, Canada, South Africa, Mexico and others, as a guest taster and buyer. Learn more about Spanish wines with the Spanish Wine Scholar study & certification program. Tour through Spain’s greatest white grape varieties and the most important wines they produce. This webinar will present several wines from Spain’s most iconic vineyards, along with their history, terroir, viticulture, vinification and taste profile, and the cultural connection with their regions.